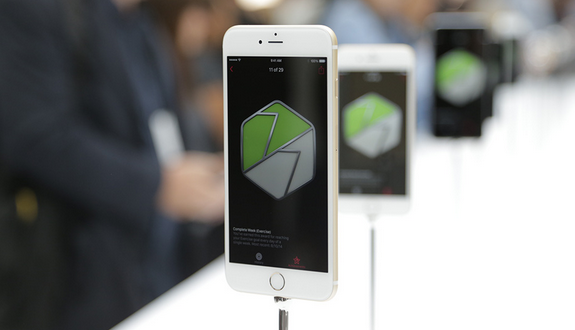 Apple has unveiled their new iPhone 6, which is available in 2 models – and their entirely new product the Apple Watch. The new iPhone 6 has a 4.7 inch display. Both will come with Apple’s new operating system – IOS8. The new iPhone 6 Plus has a 5.5 inch display. The larger model no doubt to compete more closely with the larger Samsung smartphones. Both phones boast a number of upgrades including higher definition graphics, reworked photo and video capturing, faster LTE/4G and faster Wifi speeds. Like the iPhone 5S, both phones will have the fingerprint security scanner. A new feature being introduced is called – Apple Pay. This is Apple’s answer to Near Field Communication payments (NFC). Will this turn the Swiss watch industry on it’s head? Will Rolex and Cartier worry about their customers flocking to Apple. No – the new Apple Watch whilst having the functionality of a typical timepiece, has created the most technologically advanced smart watch we have seen to date. How does Apple describe this watch? 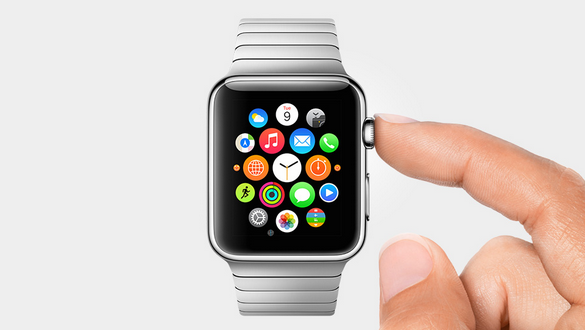 Basically a small iPhone you wear on your wrist. The watch will come in a number of different colours and faces – 18 models in total which will no doubt appeal to a large range of watch buyers who also want some kind of smartphone functionality. The Apple Watch – Sport is also to be released, made of more durable materials for ruggered and sporting activities. CEO Tim Cook has impressed Apple fans and the new iPhone will be available for purchase in 9 days time.